Palmdale is a city that is located right at the center of the northern side of Los Angeles County. This city is separated from the City of Los Angeles by the San Gabriel Mountains. In 1962, on August 14th, Palmdale became the first county to be incorporated in the Antelope Valley. Its proximity to Los Angeles has been a great factor of growth for the city as it had an estimated population of 513,547 in 2013. We have been actively practicing for over 20 years and have garnered an unmatched reputation by providing first class services to our clients both within and outside the region. If you need a professional firm for your case, then we are the best for you. At Rawa Law Group, we have some of the most respected and successful attorneys in California at our disposal and they are ready to help you. Our attorneys have a remarkable record of impressive performance. With these elites working on your case, you can be sure of getting the best possible result. Our results are obtained in the most ethical way. We do not want to break the law or change it for results, and that has been a contributing factor to us being a five-star law firm in the area. We would prefer to profusely administer our services, rather than dubious means of getting results. We practice client-inclusive representation that guides the claimants during the course of events. We make sure you don’t stay out of the process. Our consultation is completely FREE. You will have the opportunity to converse with some of the best attorneys in Palmdale and receive great advice on how best to manage your situation so as not to compromise your case or your chances of obtaining justice. Rawa Law Group is not your common legal firm. We are an exquisite legal firm located here in California. For over twenty years, we have given joy and hope to claimants in and around Palmdale, providing superior legal services to all our clients during this period. Our consistency and dedication to giving our clients the best has led us to become one of the most respected law firms in the area. 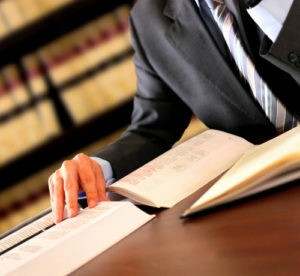 Our attorneys are professionals with experience in almost all areas of law. They are qualified litigators who are familiar with all disputes and cases; from employment clauses to wage and hour, sexual harassment, etc. During our years of service, we have delivered hundreds of millions of dollars in settlements to our clients. We tend to improve your life for better through impeccable legal assistance that will give you the best chance of success in court. We are committed to ensuring your well-being and ensuring that the best possible treatment is obtained, both within and outside the court. At Rawa Law Group, we are proud to be thorough with each and every one of our cases. We are interested in scrutinizing every detail of your case, making sure that no detail is left untouched. We have an attorney ready to do everything possible to run your case. You can be sure that we are convinced of our dedication without reserve to your well-being and the success of your case. To also show our confidence in the case of our clients, we provide high-quality consultancy services, which is completely free. Our attorneys are available to answer all your questions and provide the best advice to guide you as you advance your case. This consultation service also covers the assessment of basic cases. We show you the outcome possibilities of your court case and the best way to optimize the results of your legal actions. With our rigorous management style, tireless advocacy in court and dedication to your well-being, you can be sure that you will get the best possible result. Most accidents on the site of construction can be prevented as long as they follow and administer the recommended safety procedures. When an accident occurs, the victim has the legal right to bring those that are responsible to justice. We will advance your case with care to give you the best standing in court. Our experts will examine every important detail to establish a solid case for you in court. If a person you know dies in a workplace, you have the legal jurisdiction to contact a competent attorney who will help you engage all the resources needed to get to the bottom of things. With our expert services, you will get a solid case and those responsible will be brought to book. Say goodbye to legal services rendered with little or no seriousness, with us you can be assured of an excellent service until the end. Rawa Law Group is also willing to not get paid until your case is won. It is with what confidence we are in the service we provide. Visit or call our toll-free number 1-844-444-1400 for your luxury legal services today.